I think in order to do anything extraordinary in this world, you must be fearless. That’s not to say never be afraid, because we are all afraid at some stage, but just not be afraid of external things like failure. 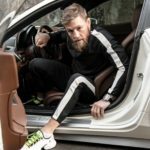 McGregor announces the unveiling of his Proper Twelve whiskey brand via Instagram. He says he will donate up to $1 million per year of the proceeds of Proper Twelve at $5 per case to first responder organizations and charities. Noodies. 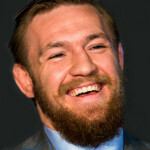 a company based in the UK, releases a bronze bust of McGregor, prices at $4600 (£3300). 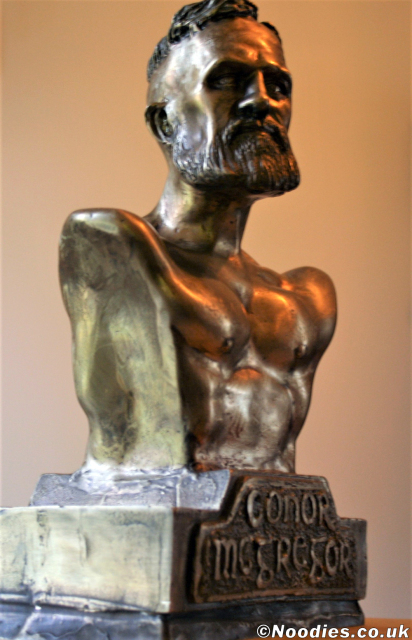 The company is also selling a “resin reinforced plaster” version of the McGregor bust for about $325 (£230). We have produced an investment grade, bronze art object that glorifies a sportsman. We have protected it with a Radio Frequency Identification Device (RFID) inset into the base and sealed with the wax trademark of the designer. The unique RFID code on the device is linked to the number within the edition to make successful forgery impossible. This in itself makes our production leading edge in high end collectable (sic) art production. Boy that whiskey tastes so good. Oh s***, keep an eye out for it. 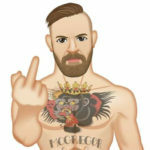 David August tailoring releases a limited edition of McGregor’s ‘Eff You’ suit, which the fighter wore to his first press conference with Mayweather in Los Angeles. 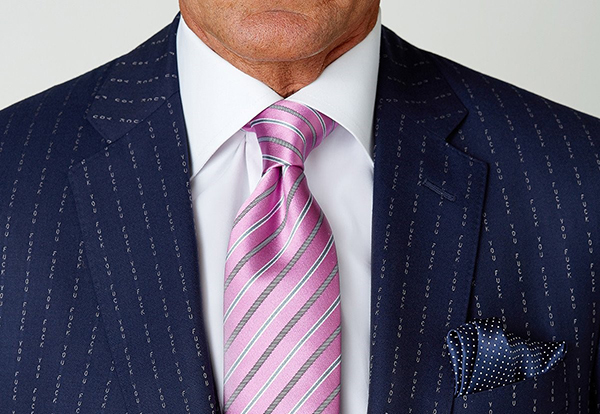 The $6500 suit is produced in exclusive wool in navy twill, with ‘explicit fighting words presented in a vertical repeat’. Other details include purple camouflage silk lining. Each suit will be signed by August. Production time us estimated at 12-15 weeks. Infamy and notoriety isn’t always bad, especially in the case of one bold, brave, confident friend of ours who revels in pushing boundaries. For those interested in taking similar risks, we have recreated our original custom 3-piece suit produced exclusively for Conor McGregor and we are making it available as a limited-edition custom order.